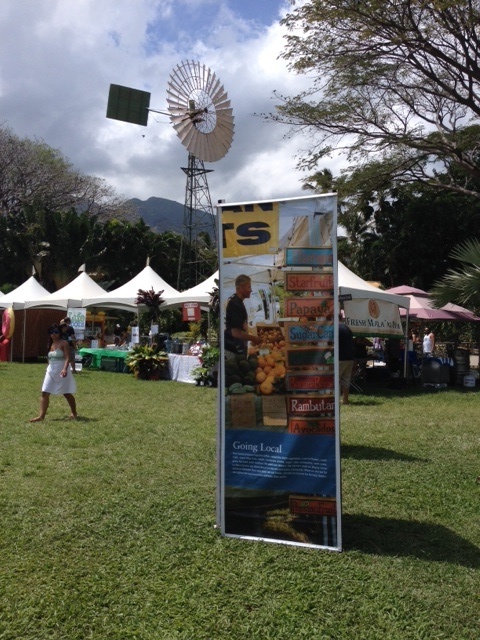 This entry was posted in Life in Hawaii and tagged Grand Taste 2014, Maui Agricultural Festival 2014, Trip to Maui by jamaicawtr. Bookmark the permalink. Aloha Jamaica! I enjoyed reading your Ag Fest experience. This was my second time attending Ag Fest. I tried to enjoy myself, but the heat was so unbearable! We ended up only staying an hour just to do a quick walk by every booth and buy a few snacks. What did you think of the event? Would you go again next year? I loved the Ag Fest when it was Ulapalakua, mostly for the floral competiton. It was like walking into a fantasyland in some of those displays. I was under the impression they were going to do the same thing at this Ag fest, so I was disappointed when there was none there. 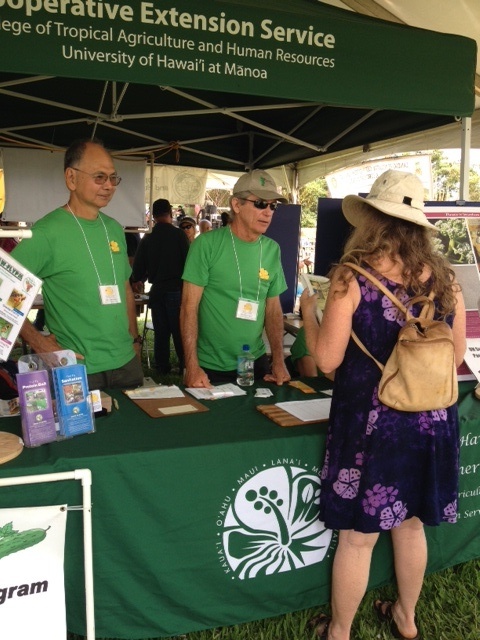 We will probably be there next year because Mike is in the Master Gardener program for the long-haul. We were there yesterday as well! You are correct, it WAS indeed HOT but not complaints here…it was such a welcome break from all the rain!